That Kissinger quote is both heartbreaking and hilarious. I was overseas during the Watergate scandal, and the Stars and Stripes was the only English-language paper I had easy access to in Japan. While objective, it wasn’t very comprehensive in its coverage. When I got back to the US I got really obsessive about the subject and read about a zillion books on it. Fortunately, other than the names of the perps, most of that info was caught up in a memory purge a while back. I have no problem getting to Whittier. Getting out is another story. I’ve always felt a connection with Nixon, because I was born during his presidency, because we share the same birthday, and because we both came from the L.A. area. Too bad I had to feel so connected to such a crappy president. My childhood was informed by the notion that JFK was what a president was supposed to be like and I was taught from an early age to despise Nixon. He was later the demon of my teen years. Excellent read as always, Bob. I still vividly remember, despite whining about her round-the-clock fascination my mother held with the televised hearings, being alone in the family room on the floor and watching his exit from the helicopter with his famous peace sign hands waving. I clapped right along with the crowd in spite of myself. The Democrats lost 5 seats in the Senate that election, including the majority leader Scott Lucas of Illinois, who lost to Everett Dirksen. He was replaced by Ernest McFarland of Arizona, who lost in 1952, to Barry Goldwater. This put Lyndon Johnson in charge. He fared better. The Democrats also lost 28 seats in the House, although still retained control. They would lose it in 1952, but regain it in 1954. They wouldn’t lose control of the House again for 40 years. 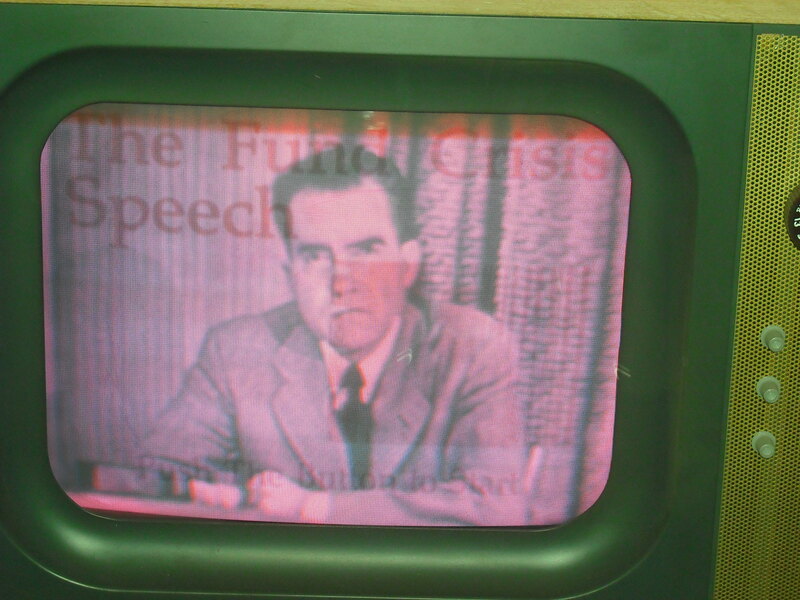 But, Nixon’s legacy is mainly just an almost complete distrust in our leaders by the American public.